There was a song, about 20 years ago that was titled “Things that make you go hmm.” Since that song was released, there have been plenty of instances all over the world where we’ve really had to stop and think, because we just weren’t sure we had ever really thought of our situation in the way that was needed. Sometimes the thoughts that occur to us, as a society, are incredibly deep. Other times, we have to wonder how the thought occurred at all. 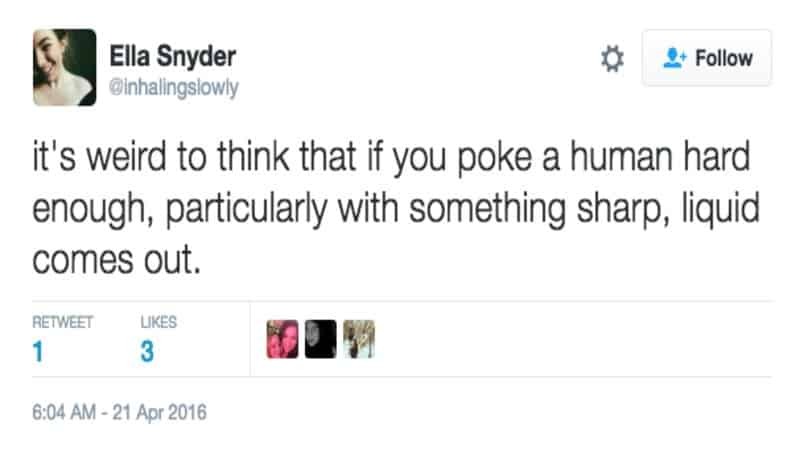 Not matter the case, social media has been a great tool for getting our deep thoughts out there. 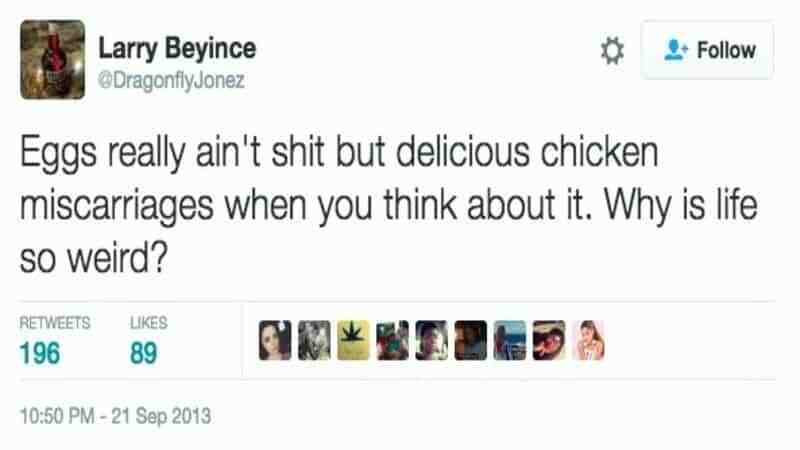 Check out 10 hilarious tweets that will make you question the world we live in and let us know what you think in the comments section. Eggs that we eat are actually eggs that were never fertilized. So not really miscarriages. Still, it’s both a gross and kinda hilarious thought into what we eat for breakfast. 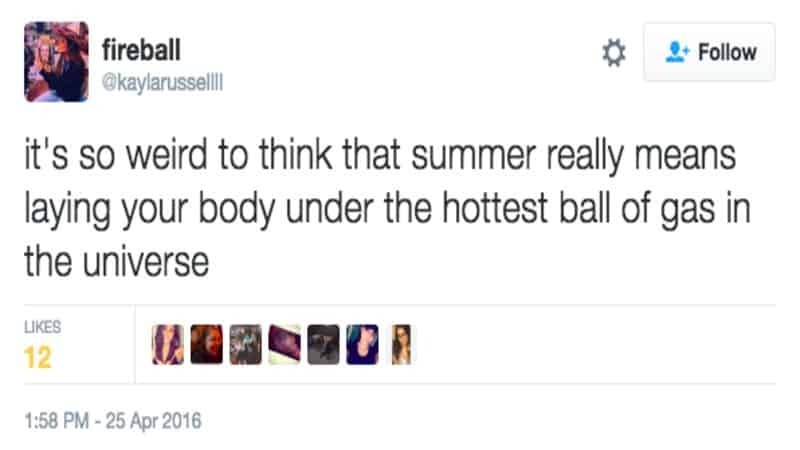 We assume “fireball” means laying out and tanning. Because the sun is up there the whole time, not just in the summer. It doesn’t change temperature either. What If Something Else Came Out? Yes, it is weird to think we’re mostly some kind of liquid. We’re basically a larger, grosser version of a jelly doughnut with raspberry filling. 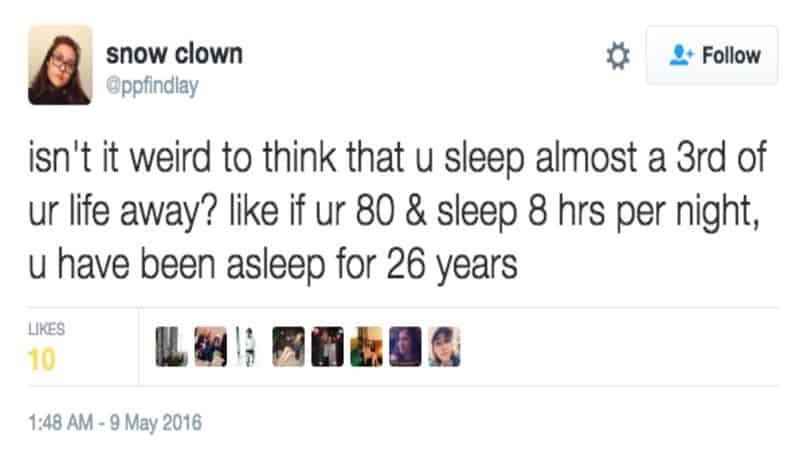 Who Gets Eight Hours These Days? And how come our mini movies always seem like those weird art-house flicks in the vein of Twin Peaks? This is truly a very interesting statistic. 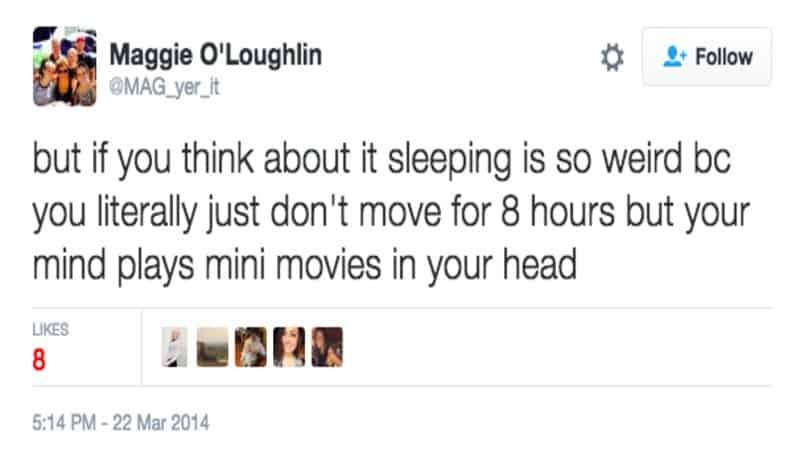 What makes it more interesting is if you think about how often your pet dogs or cats are asleep. 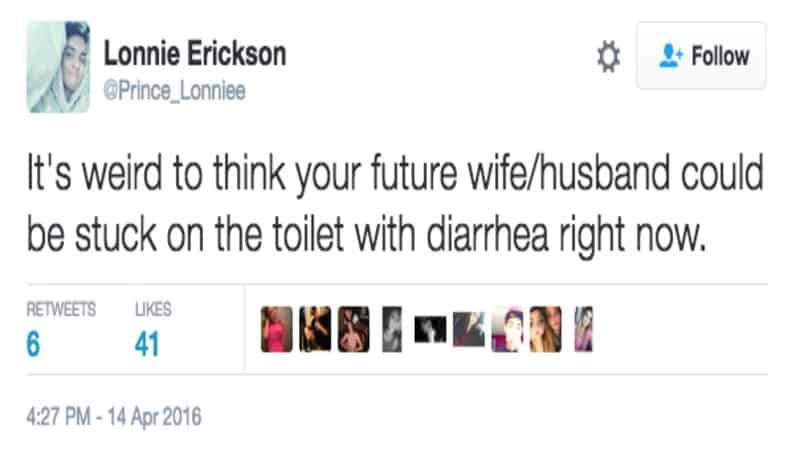 We hope when this person gets married, they manage to put some version of this tweet into their vows. They’re not wrong (at least when talking about a man and woman) but we don’t think this person is going to get a bunch of “romance” points for pointing this out. 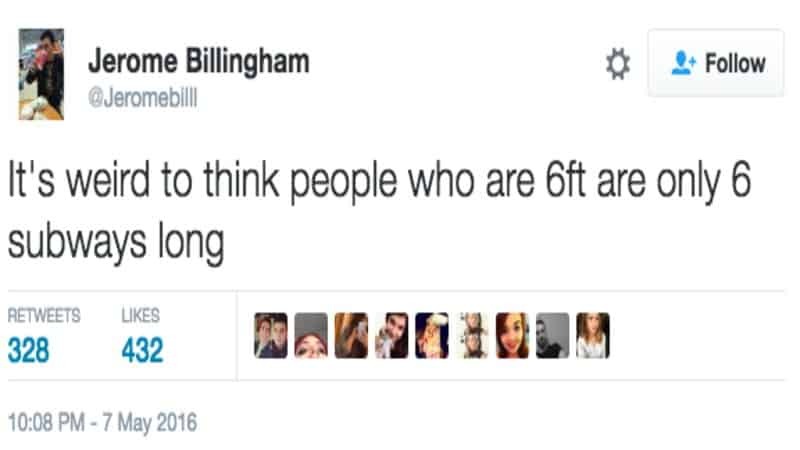 Technically, Subways’ footlong subs are less than a foot, so people who are six feet tall are longer than this. 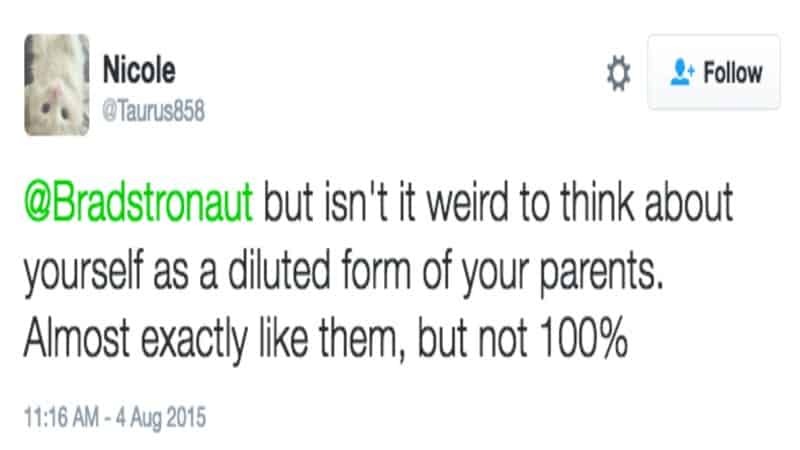 At least we’re not a deluded version of our parents. 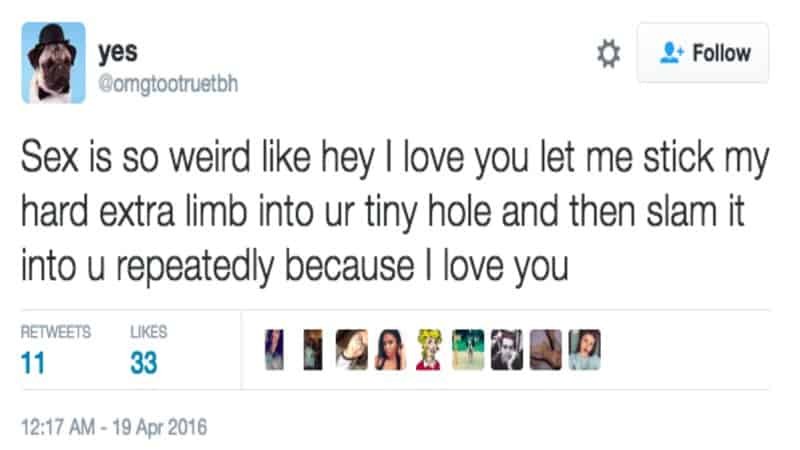 That would be a whole other problem. 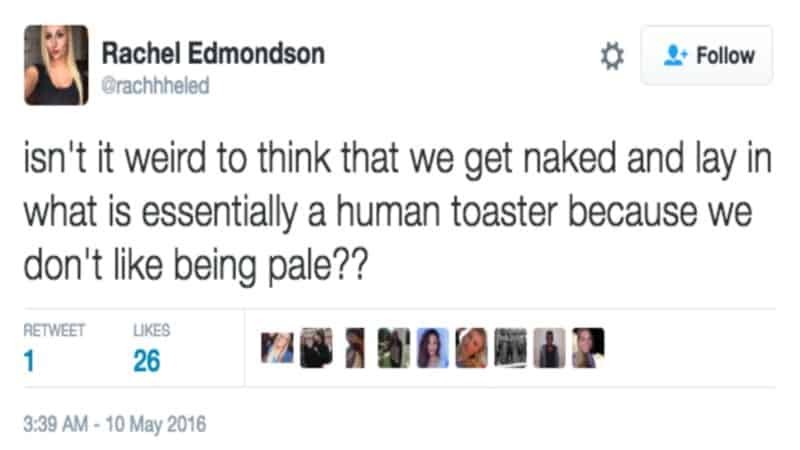 Rachel isn’t wrong about the tanning beds. Considering you can get cancer from doing this, it’s a practice that makes less sense all the time.